After the post (and interesting reader comment) about Camden junking its past, I was thinking further on the subject. You can care about the past and not be a nostalgist, just interested. But it’s getting harder. Walking down Berwick Street in Soho, through the market that has been there for a hundred years, I was shocked to find it almost completely gone. In its place stand the ubiquitous tourist tat stalls that nobody wants. 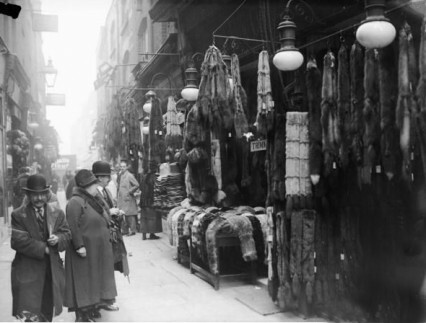 Here’s how Berwick Street looked in 1907, when Jessie Matthews was born above one of its butchers’ shops. Matthews was unquestionably the biggest star in Britain. 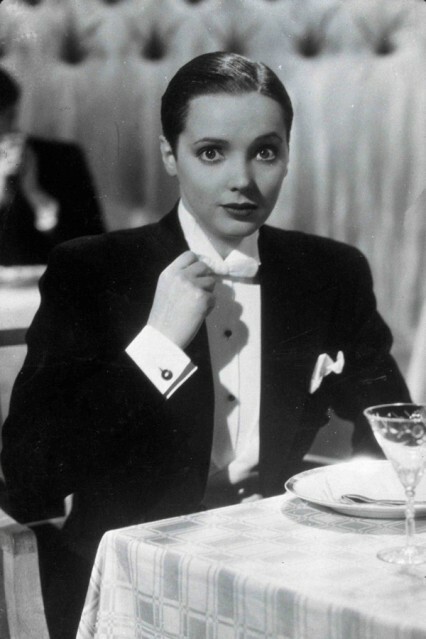 Her film First A Girl’ was remade as ‘Victor, Victoria’. My friend Michele points out that she once went to a Jessie Matthews festival at the Theatre 80 St. Mark’s in New York. I find it incredible that New York would host a festival dedicated to a star nobody here remembers or cares about. Thanks and a tip of the hat to this lovely site, which has the full story. I haven’t lived in London for almost 20 years – I’m a Yorkshire girl born and bred and I came home. 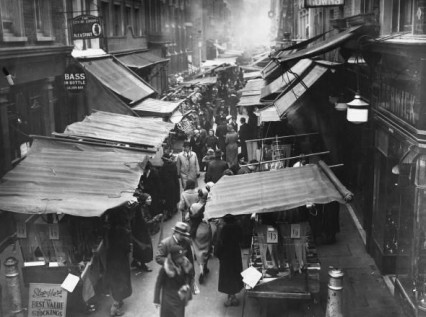 But for the 15 years I lived in London I worked for a lot of them on the Stage Door at the Apollo Theatre in Shaftesbury Avenue, and I can still remember just how damn nice the market traders were. I used to have to get to work at 5am, and they would always greet me, and keep an eye out for me until I got into work. If the weather was bad, the landlord of the pub opposite would let me in to sit in the bar until I could get in, and they were always fun to be around. It felt like I was part of a community, and it’s really sad to think that it’s gone. It was a lovely time, and one that I still remember with real fondness. I remember Jessie from my childhood when she was Mrs Dale and her films are still fun even if they are dated. http://youtu.be/5DWVwgDNBzI Some of the songs are wonderfuly daft and she epitomised the glamour of the period. Alison, that’s the sort of story that needs telling. Bits and pieces of London. Old photos are interesting but they’re always dated, they’re almost otherwordly for being black and white, or sepia. I’ve added a link below that whilst it’s WWI not London – the photos are all in colour. The difference is astonishing.